A KILLER’S CONFESSION, the new project of former MUSHROOMHEAD vocalist Waylon Reavis, has announced dates for their first US tour dubbed "Year Of The Killers" featuring EMP Labelmates DEAD BY WEDNESDAY, plus KISSING CANDICE, and ERASING NEVER. Dates are as follows. AKC has also revealed the cover art for their debut full-length LP, Unbroken, being released in March via (MEGADETH bassist David Ellefson’s) EMP LABEL GROUP/AMPED. The intense album was rendered by legendary comic/horror artist “Mister Sam” Shearon, responsible for artwork for ROB ZOMBIE, FEAR FACTORY, RAMMSTEIN, IRON MAIDEN, ARISE IN CHAOS, Clive Barker (Books of Blood, Hellraiser), IDW Publishing (KISS, MARS ATTACKS, THE X-FILES, JUDGE DREDD) and more. The album is available in several pre-order configurations now from empmerch.com. 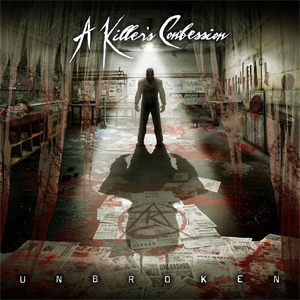 The debut single “A Killer’s Confession”, featuring Brian “Head” Welch from KORN, was released to Metal Radio in November, and debuted on the CMJ most added list.